Islamabad: In a recent interview to BBC, Pakistan’s Prime Minister Imran Khan has said that ‘Kashmir issue has to be settled’ and there is no other way out. Khan added that this issue ‘cannot continue to boil like it is’ and only dialogue between the two countries will bring resolution and peace in the region. The Pakistan Prime Minister’s statement came about two months after the suicide attack in Kashmir by Pakistan-based Jaish-e-Mohammed terror group that heightened tension between the two countries. 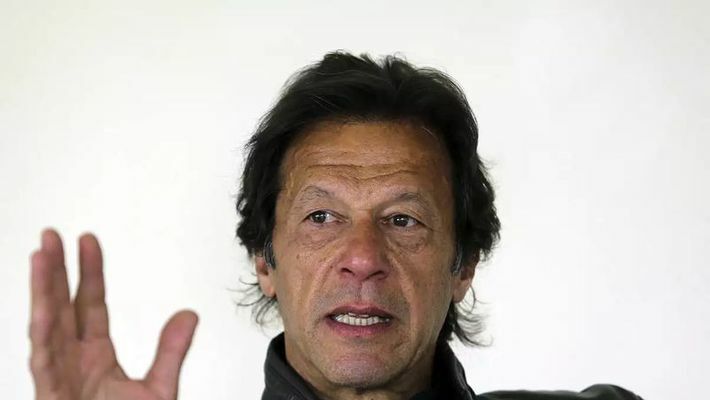 Asked by the BBC what message he wanted to send to Prime Minister Narendra Modi and India, Khan said the Kashmir issue “has to be settled” and “cannot keep boiling like it is”. On New Delhi’s air strike on a JeM camp at Balakot post the Pulwama suicide attack and Islamabad’s response, Pakistan’s Prime Minister said, if India were to “come back and then again attack Pakistan, Pakistan would have no choice but to respond”. PM Khan has denied Pakistan’s involvement with terrorist groups or allowing them to operate from their region. He stressed that the current government had done a lot to eradicate terrorist groups. However, he emphasised that a lot depends on a solution to the Kashmir issue, whereas the rest could be easily sorted out.